The Cavaliers uphill battle from a 3-1 hole in the most recent Finals and subsequent championship was inspiring as any NBA story. Even that, though, takes a backseat to another war with tough odds being waged off of it by longtime Turner sideline reporter Craig Sager’s fight with cancer. 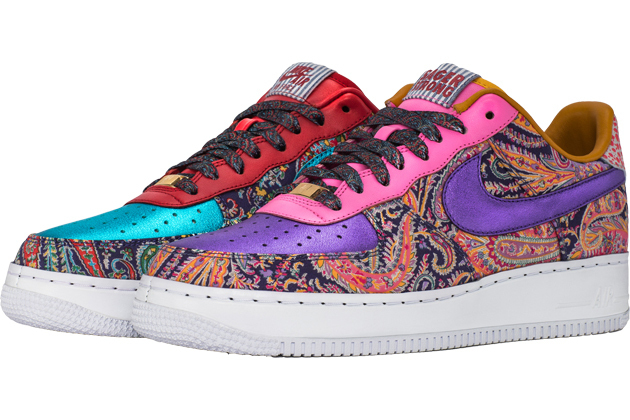 In partnership with the SagerStrong Foundation, NikeiD is doing what it can to aid Sager with a special auction of 100, limited-edition Nike Air Force 1’s inspired by Sager. To nobody’s surprise, the eye-catching shoes are an exercise in clashing elements: Sager’s trademark colorful paisley pattern, which adorn many of his amazing game day suits, along with a seersucker tongue, blue and purple Nike swooshes and matching, multi-colored laces. The auction will kickoff during the pregame of the Cavaliers vs New York Knicks game that tips off the NBA season this Tuesday and will continue until Friday, November 4th. Bleacher Report revealed an exclusive sneak peek of the SagerStrong shoes on their Facebook page this morning. Sager will be able to watch the game from the comfort of his own home as he was released from the hospital just last week after nearly three months. But the Batavia, Illinois native will undoubtedly be more focused on the game going on across the parking lot as his beloved Chicago Cubs open up the World Series for the first time in 75-years. Sager has been publicly battling acute myeloid leukemia since 2014. Despite his terrible disease, and its recurrence this year, Sager has continued to work for TNT and even managed to work his first NBA Finals game this season. The support from the NBA community has been quite obvious; as players and coaches from around the League have been vocal about the love they have for Sager. And while only a few fans will be able to grab a pair of these dazzling kicks, there are a few other options to support Sager and the SagerStrong Foundation. 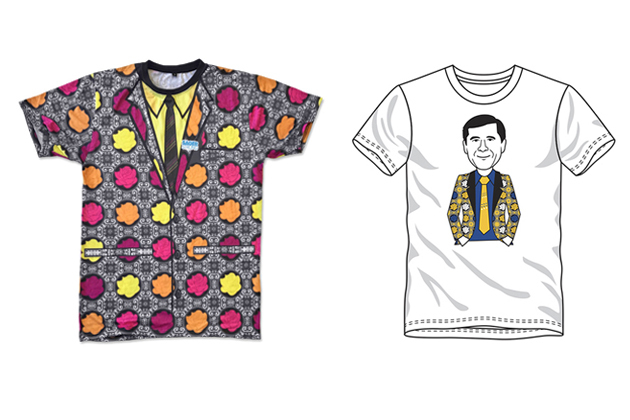 There are also two awesome Sager-inspired t-shirts available. One, from the Golden State Warriors, features a caricature of Sager in a Warriors themed suit that will be given out to fans in attendance at the Warriors home opener. The other, available at 500level.com, is a colorful t-shirt replica of a Sager-inspired suit, complete with a yellow undershirt, tie and a SagerStrong pin. Wear them loud and proud. That’s what Craig would do.